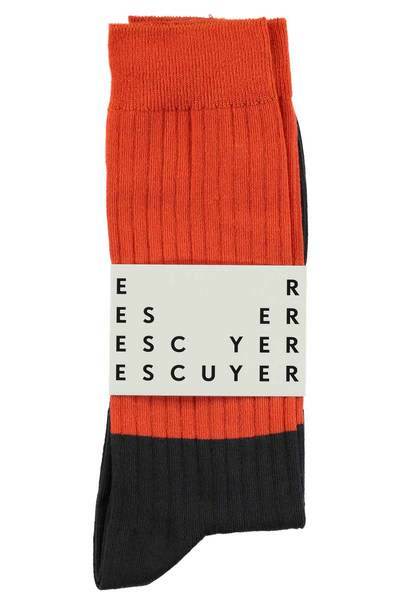 High quality Men's socks by Escuyer ﻿This pair of ribbed colour block socks will add a unique touch to any look. These are in a strong combination of Vibrant Orange & Black. Lily King in London, United Kingdom.